Silhouette For Fabric Art is a Creative Cornerstone course for quilters and fabric artists who use Silhouette Cameo cutters. By the end of our course, you’ll be in love with your cutting machine and everything you can do with it, confident that you know how to use it – and you’ll have a clear strategy for getting ideas out of your head and onto the fabric the way YOU want it to look! Explore the ins and outs of cutting various materials, including freezer paper, stencil plastic, fabric, and vinyl –– the secret to making Renegade Stencils! 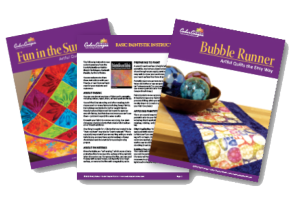 This Creative Cornerstone course is designed for students who are new Silhouette Cameo users and those who want to learn more about ways they can use the machine for quilting and fabric art applications. All of the examples will shown in the Silhouette Studio software. 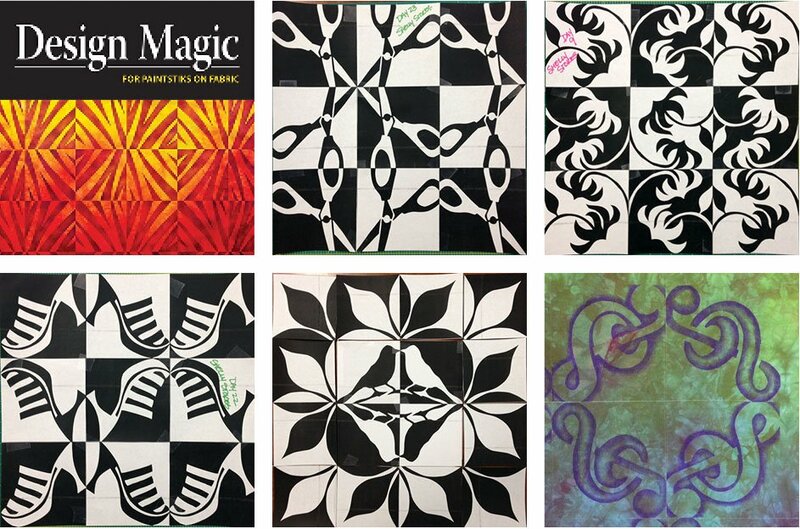 Design Magic is a Creative Cornerstone course for the design process described in my Design Magic book. During the course, we’ll create 30 Designs in 30 Days, but have no fear – we take weekends off. But, this is not just a design class. We’re going to turn your designs into stencils and add them to fabric with Shiva Artist’s Paintstiks. And yes, we’ll make lots of designs! You’ll receive design prompts for each of the 30 designs (everything from flowers to sewing supplies to shoes!) and complete lessons for everything else in our friendly online classroom. This Creative Cornerstone course is open to all students. No previous experience with Paintstiks or design required. Lessons 4 & 5 are devoted to creating collages that only appear to be pieced using my Peel & Paint single-layer masks and two-layer masks for more complex shapes. Finally, Lesson 6 is an introduction to the marvelous world of hand embroidery and a method I call Paint + Stitch. 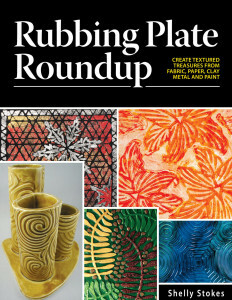 This Pushing Boundaries Course is geared toward students who have completed Totally Textured or who are confident in their Paintstik Rubbing skills. Totally Textured is my Creative Cornerstone course for all things related to Paintstik Rubbings. 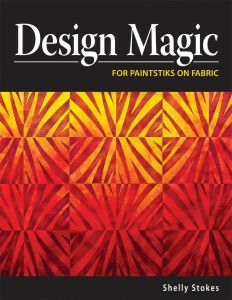 When you’ve finished the six lessons, you’ll be excited to have Paintstiks in your toolbox because you know exactly how to use them – and know that you can create fabulous fabric with confidence for all your quilting, sewing and home dec projects! This Creative Cornerstone course is geared for students who are new to working with Paintstik Rubbings or who wish to refine their skills. 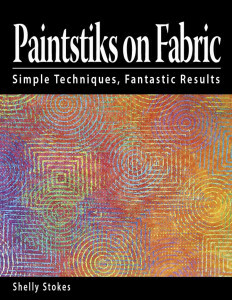 After completing this course, you will be able to tackle any Paintstik Rubbing project that comes your way. Note: This method is not recommended for quilts created for everyday use. 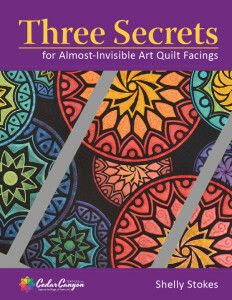 Art quilts and wall quilts only, please!